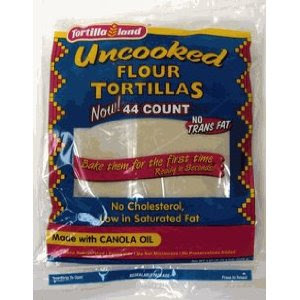 so this isn't the exact brand I use, but have you ever tried the tortillas that you buy uncooked? they are SOOOO amazing! you cook them for the first time, and if your pan has been warmed up they cook in 40 seconds, tops. no hydrogenated oils or trans fat, and SO much more flavor. these definitely make me happy! roll it up and voila!